Cybersecurity is a serious issue not just for computers on Earth, but also for those in space. Naturally, the same concerns apply for our rovers on Mars. On Tuesday, I attended a talk titled “MSL Cyber-security implementation status report” by Bryan Johnson and Glen Elliott of JPL. You can view the slides from a similar conference talk. They reported on the long list of actions the team has taken to increase the security of operations and commanding for the Mars Science Laboratory (MSL) rover. These include the implementation of Two-Factor Authentication for access to mission systems and applications, consolidating computers into a single virtual LAN, implementing and testing an “incident response process,” and taking obvious (but time-consuming and easy-to-overlook) steps like pruning the list of people with access to the MSL network. A group dedicated to “Space Asset Protection” is looking into this side of the problem. Unfortunately, there is some reluctance to adopt encryption, which carries its own overhead in complexity and bandwidth consumption for the often severely limited data links available for spacecraft communication. Imagine a library that has no books. 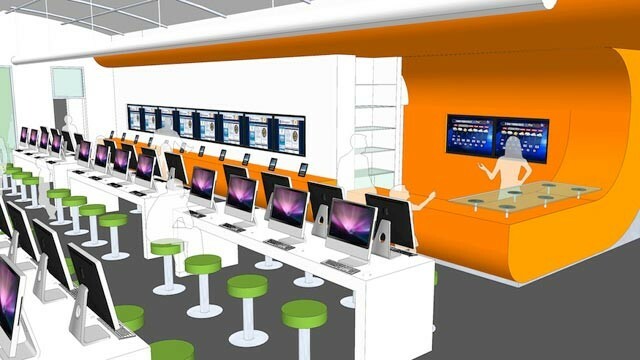 Instead, the stacks have been replaced with computer terminals, e-readers (for circulation and checkout), and “collaboration areas.” That’s the plan for the new BiblioTech library in San Antonio, Texas. It will be an almost 5000 square-foot library, with precisely zero physical books. Libraries (especially public ones) continually seek to reinvent themselves to suit patron needs and desires. A publicly funded service must necessarily stay relevant to its funding source, but from what I’ve observed, the people running libraries and working in them also embody an ethic of relevance, benefit, and impact as a matter of course. This move is inspired by the observation that many people today have less need for physical books, or they appreciate the convenience of electronic access, and some can benefit greatly from circulating e-readers if they do not have the resources to purchase one of their own. However, the move to an all-digital, all-virtual content library is a radical one. It may be risky, since libraries are still engaged in an excruciating wrestling match with publishers who dole out library access to e-books grudgingly or not at all, and often at steep prices when they do. (Consumers currently get far better deals, in terms of selection and price, when purchasing for themselves, than libraries do.) If publishers were to shut libraries out completely from e-books, what would the bookless library have left to offer? Further, if the content is all electronic, why bother having a physical building at all? Will people come to it? And yet there’s something to be said for a physical-virtual library. People use libraries for a surprisingly diverse array of activities, not simply removing and returning books from a warehouse. They gather to have meetings, to study, to roam the Internet; they form book clubs and attend workshops and fold themselves into cozy armchairs for naps. Children attend storytimes and activities and get involved in volunteer programs. Reference librarians provide a uniquely valuable service in the form of guidance to relevant resources, through an increasingly overgrown jungle of information glut, and they do not charge a consulting fee. Altogether, these areas are where the library manifests as a community resource, above and beyond its store of books. Even with all-virtual content, there will still be value in these face-to-face activities… if people can be persuaded to leave their home and come. Bring on the coffee bar!